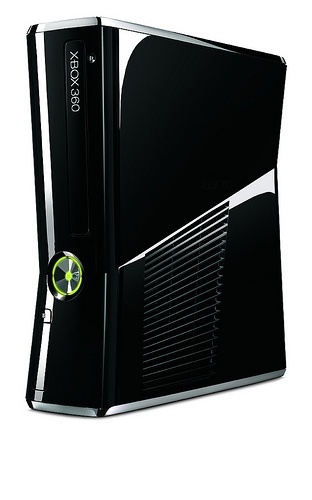 If you've going to buy one of the new Xbox 360s, be careful how you handle it. There's no other way to say this: Don't move your new slim Xbox 360 while the disk is spinning, as it might just destroy the disk. Nick Chester, the editor-in-chief of Destructoid discovered that moving the console while it's reading a disk continues to be a very bad idea, much as it was with its older, chunkier sibling. Chester moved the machine from a horizontal to a vertical position while a copy of Alan Wake was being read. After an ungodly noise, the disk was rendered unusable and an annoyed Microsoft employee directed Chester's attention to a sticker on the front of the console which made a point of saying not to move the machine while it was on. Whether you think this is an unacceptable design flaw, or a consequence of using the device improperly depends on your point of view. Personally, I think that moving the machine while the disk is moving at its quickest is just asking for trouble, but that's just my opinion. Regardless, it shows that being careful with your consoles is a good idea.